Microsoft Office has long been the leader in digital office functionality and automation. However, as of late, Google’s cloud office applications have been making inroads into Microsoft’s domain. 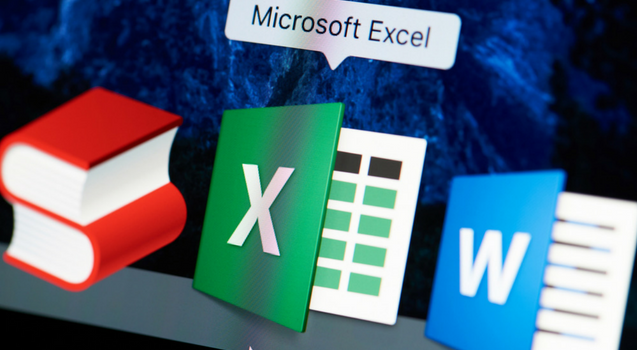 More specifically, a recent update of Google’s Gmail application prompted Microsoft to take a hard look at their Office programs. Their response is somewhat of an overhaul to the UI of Office 365. This is nothing new, though. Microsoft has completely revamped and changed the design of Office on multiple occasions in the past to incorporate new designs for user interactivity. Let’s take a look at some of the changes planned for Office 365. Microsoft is using actual customer testing and feedback on their new feature set. They’re involved in every aspect of design, development, testing, and implementation. Customer feedback and approval will drive the look and feel of the new Office apps. We’ve been living with the ribbon toolbar for many years now. If you’re like most of the world, you’ve probably thought from time to time that the toolbar is a little too busy. Microsoft has been trying to refine the ribbon for years since its original inception by putting commands in tabs and changing the size of the icons and text for the buttons. Now, they are trying to filter the available list of commands based on what the user is actually trying to accomplish. For example, you don’t need mail merge buttons if you’re typing a resume. Some buttons just don’t make sense in the context of certain types of documents or when you’re trying to execute specific functionality. Users will be given an increased ability to customize toolbars by being able to toggle commands on and off as well as group commands into collections that make sense to the individual user. You will always know where a command is, but you’ll have the ability to quickly move them out of your way or bring them to the front when you need them. The ribbon in the new design will be smaller. Also, the graphics and colors will change in an effort to simplify the user experience and more precisely describe what the buttons do. These changes will be developed, tested, and approved through the new customer co-development project and rolled out gradually instead of showing up in a major release. Word is scheduled to be the first application to start receiving ribbon changes. Accessibility will be a driving force in the design of the new graphics. The changes will provide advantages for users with disabilities when using the new Microsoft Office products. Search capabilities will be much stronger in the UI revamp. Not only will you be able to search content, but you’ll also be able to search for commands and people. The new search functionality can be accessed by hovering over the search box, which is present in all of the Office applications. Additionally, recommendations will immediately appear driven by artificial intelligence and Microsoft Graph. This new functionality will be noticed first by corporate users in the new version of Outlook and updates are expected to roll out August 2018. These are just some of the changes you can look for in the coming months in your favorite Office applications. The changes will begin to appear gradually as they make their way through the testing and approval process. As the changes begin to come online, you’ll receive notifications and tutorials on how to use the new features. It will be very exciting to see all the new changes as they emerge in our favorite Office applications. To learn more about Microsoft Office product updates and how to best utilize them for the personal and business world – consider taking a training course with ONLC. We offer Microsoft courses and certifications to get you up to speed on the latest developments. Contact us for more information, or get started by signing up for a class today! Previous PostMicrosoft Acquires GitHub – What Does it all Mean?